Golden Bay is an extraordinary natural environment at the top of the South Island in New Zealand. Golden Bay is New Zealand's most diverse and appealing holiday destination. Imagine a region with endless variety, where golden beaches, alpine valleys and tranquil fishing rivers share a close proximity with the sea. 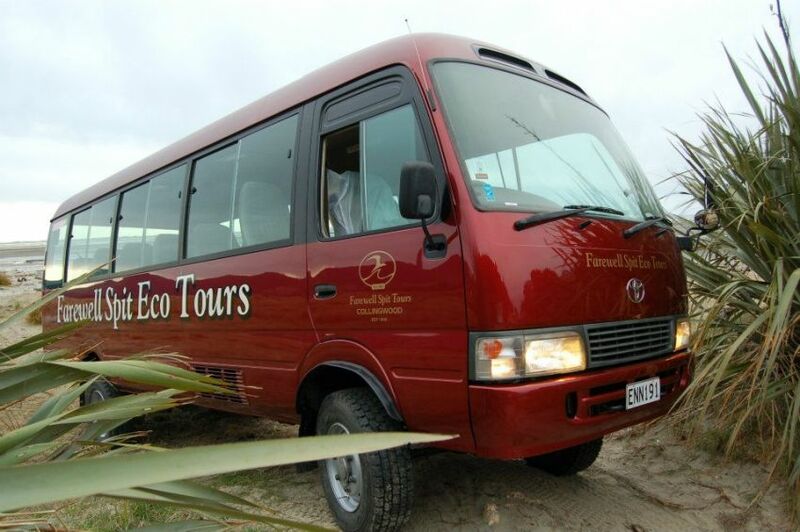 Breathtaking scenery, arts and crafts, sporting activities. There's something for everyone. Golden Bay is nestled into the South Island's north-west corner. A chain of steep and rugged mountains cuts its fertile river plains and valleys from the rest of the island. 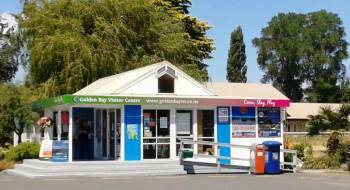 Unless you're a migrating whale, you don't go past Golden Bay on your way to anywhere. You have 24/7 access to brochures, maps, activities, providers of accommodation, food and transport outside the Visitor Centre for visitors' use. Our competition has now closed and we would like to congratulate our winners. Well done on answering all the clues correctly and submitting such lovely photographs - we hope you enjoy your prizes and thanks for entering! Thank you once again to all our wonderful sponsors, without which we could not have held such a great competition. We have an exciting new competition running again with awesome prizes to be won! 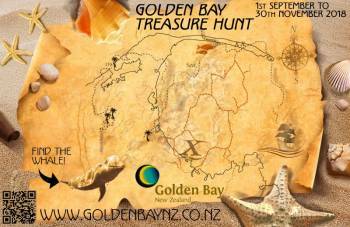 Whatever you enjoy most about Golden Bay you can experience whilst adventuring on our great Treasure Hunt. Find the hidden whale to enter. Good Luck! There are also "spot prize" options along the journey, so keep an eye out on our Facebook Page for tips, hints or more clues, to grab these great prizes. Please visit this page for information about how to enter our exciting new competition!